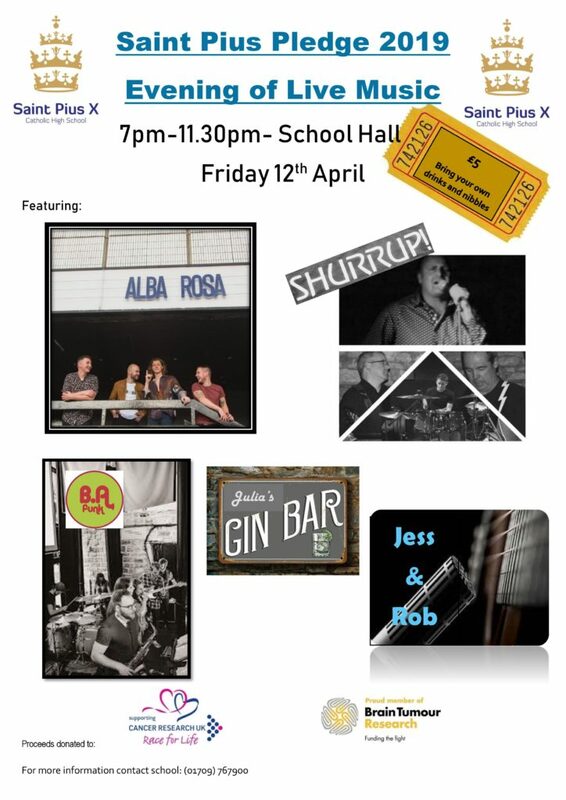 As part of our fundraising events on the last day of term, we are holding a music event in the evening for staff, parents and ex-students. Please speak to Miss McGibbon if you would like more details. Tickets are £5.00 each.